Everything is changing on earth these days - the planet is going through its share of shakeups and we are also feeling the shifts as a species. For this reason, it is more that our immune systems are super-charged. And, with the regenerative vibes of spring in the air, I felt it was a good time to feature an interview on wellness and vitality. Cathleen Waraner is a well-respected and much loved health and lifestyle counselor based in Lake County, California. Her consulting business is called Dancing Diagnostics, as she uses the tools of dowsing, the pendulum, and hair analysis to evaluate a person’s wellness. She is also a gifted seer. I met Cathleen at a health fair in 2007 – an invisible hand pushed me in the direction of her booth. My intuition told me to trust her as I sorely needed her help. I’d returned from India with a bad case of parasites – NOT fun. Allopathic medicine prescribed pharmaceuticals, which killed about 70% of the critters, but another 30% were still active in my system and were making me crazy both physically and mentally. Cathleen did a full health analysis of my system, and within two to three months of natural food, herbal, and vitamin remedies, I was rid of parasites and healthier than before. Since that time, I’ve consulted with Cathleen on a regular basis, with phenomenal results. I consider her to be my primary health and wellness consultant. Since I love to share off-the-beaten path finds with Travel and Soul readers, I wanted you to know about Cathleen's services, too. Erin Reese: Cathleen, thanks for talking with us today. How did you come into this field of alternative health, nutrition, and wellness? Cathleen Waraner: First, through an automobile accident in 1975, in which I almost died. The near-death experience left me with the gift of seeing what is happening inside a person’s body. The nutritional and alternative healing wisdom is a thirty-plus year body of knowledge concerning food, herbs, and vitamins as medicine. I began to apply my gift of intuitive sight along with alternative healing in 1983 when my eldest daughter was deathly ill. She was in the children’s hospital and treatment was not successful at all, when I met a woman who recommended sending her hair for analysis to a company in Arizona. Through hair analysis, we learned that my daughter had dramatic allergies to wheat, among other things. We started right away to heal her with herbs and food changes. I became, of course, highly interested in hair analysis, which I now do myself through dowsing with a pendulum. ER: Can you tell me how you came to work with a pendulum? CW: In 1991, I met a healer named Phyllis Williams in Calistoga. She used her pendulum with great results to help others make the changes they needed. This reminded me that as a child, I would go to the California Academy of Sciences in San Francisco and stare at that huge pendulum that knocks down the pegs as it moves with the Earth’s energy. You may have seen it? 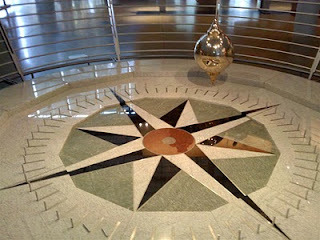 ER: Oh, yes, I love that – the Foucault Pendulum! CW: Exactly. I used to stand there and watch it for long periods of time, fascinated. Pendulums can test energy qualities of objects and information, and it has been scientifically proven, like dowsing. ER: You use dowsing with a pendulum in your work. Can you tell us more about that? CW: I learned the art of dowsing for water when I was six years old, from my grandfather. I like to use pear sticks, but I can even use willow or wire rods. Today, I use the pendulum for dowsing to search for specific information about a person’s health. Dowsing is no longer considered strange. Scientists are now using pendulums for dowsing themselves and dowsing is approved by the American Academy of Sciences, the UN Department of Education, and the British Academy of Sciences, just to name a few. ER: And you use pendulums to dowse for health and wellness information from your clients’ hair? CW: Yes, the great thing about hair analysis is that I don’t actually need to be physically present with the person in order to do a health work-up. What happens is that the person sends me a few strands from combing, after sleeping on unwashed hair overnight. When I get the hair, I do the full analysis, uninterrupted, from my own home office, and we go over the information by telephone. We can go really in-depth this way. ER: What kinds of information do you get through this analysis? ER: That’s amazing that you can see all this with pendulum dowsing. CW: Yes, the main thing is that it is a complete wellness analysis. I check for allergies, too. This is really important: people are getting more allergies through new pesticide use on non-organic foods. We can see if people have environmental toxins in their system, or irregular cells. ER: What happens once you do the analysis? CW: Then I step into the coaching part of my work – food therapy, health education, and lifestyle counseling. I am a complete supporter of organic food. I had one of the first organic farms in the Napa Valley back in 1993, called Wild Boar Run Untamed Organic Specialties. 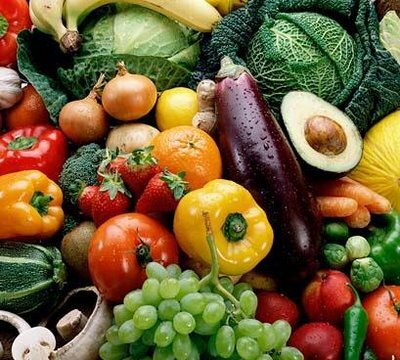 It is really important for people to understand that the nutritional quality of organic foods has a much higher nutritional impact on the body. Organics have a higher vibrational frequency, which truly supports our system. ER: A lot of people say they can’t afford to buy all organic, but it seems they can’t afford not to. CW: That’s right, we have to get away from pesticide poisoning, which is a major problem for our immune system. I’m also a big supporter of eating locally – I encourage the “Farm to Table” approach. Organics are in our best interest. Otherwise, we are constantly stressing the body, detoxing whatever we eat – all those pesticides cause greater imbalances in our system. CW: Yes, we have to keep our nervous systems strong, and our bodies disease-resistant. Also, we can’t eat factory farm animals or animal products that are pumped with antibiotics. If the animal has been fed antibiotics, WE get the antibiotics. This IS contributing to more colds, influenzas, and infections in humans in general. If someone has to choose between a vegetarian lifestyle and eating factory-farmed animal products, I’d rather they eat vegetarian. ER: Who should contact you for a consultation? CW: Anyone who is interested in enhancing his or her well-being. 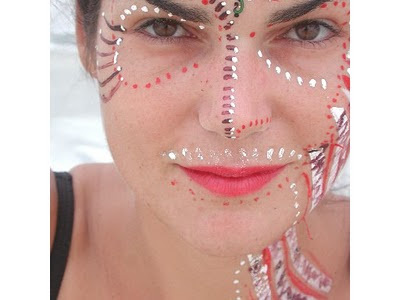 I help people feel and look and BE more radiant. I help them get stronger to resist the emerging bugs and viruses that are the greatest threat to our species today. I can help people boost the immune system so that they have NO downtime with colds and influenzas, and help people have more strength. People often don’t realize how sick they already are. ER: I know. You’ve helped me fight off some major viruses. I’ve been amazed at what you’ve helped me with! CW: You’re also a person who is truly committed to her health, and the world needs more people who are positive, healthy, radiant, and spiritually gifted. Food and lifestyle coaching can help others in this way. ER: I’m surprised at how we continue to turn to drugs and pharmaceuticals when there are natural ways to heal the body. People are often fatigued, or spaced-out, have vertigo, or are depressed or have constant low-grade infections – and you can help them see if it’s an allergy or heavy metals through environmental poisoning, or if they have parasites or a bacterial infection. This is why I wanted to share your work with Travel and Soul readers… so they can find out if they’ve got some sort of imbalance throwing off their whole system… So people should call you for an appointment? CW: Yes, they can call me to discuss their health goals and if we decide we want to work together, I charge $250 for the complete consultation, write-up, and two follow-up phone sessions over a four-week period. ER: I think your prices are very reasonable for the amount of wisdom and attention you give to your clients. CW: Yes, and children or babies are only $100.00 – I do like to work with children! I also work with animals. For that: horses are $85, dogs are $65, and cats are $45. ER: I’ve been amazed – everything you’ve ever shared with me as worked, and every time you recommend something food or supplement-wise, you always tell me the most cost-efficient way to do it, and the very best company to buy it from. I want everyone to know that they can truly feel better and be healthy on the deepest level possible. CW: The healthier we are, the more aligned we can be with nature and the cycles of our lives, and walk in balance, be happier, and more radiant. ER: Thank you, Cathleen. 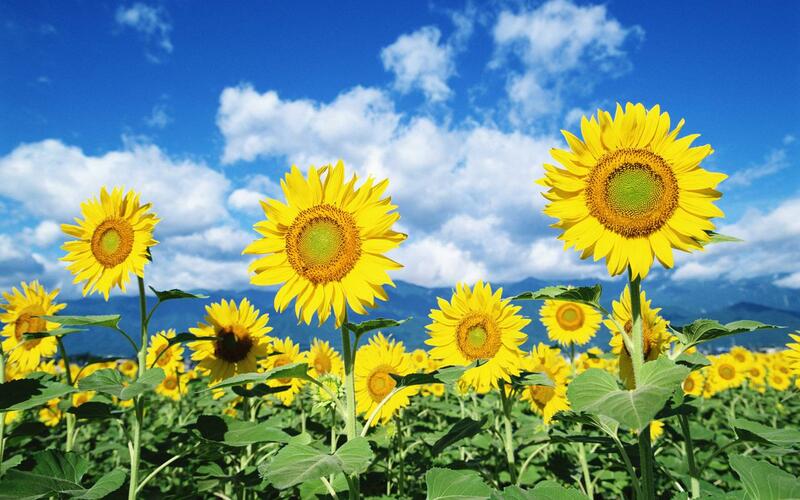 This is a great spring kick-off article – real food for the soul. CW: And thank you, Erin! Wellness Counselor Cathleen Waraner of Dancing Diagnostics works by telephone and in person by appointment. For more information, call Cathleen directly at (707) 279-8358. She can also be reached by email at dancingdiagnostics@yahoo.com. Warning: Spoiler alert! 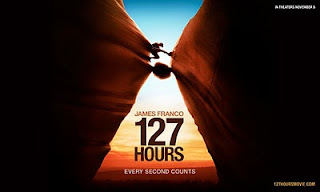 If you’ve not seen 127 Hours yet, and are planning on it, go see the film and then come back and read this article. This article reveals key parts of the storyline. In Danny Boyle’s 127 Hours, climber Aron Ralston saws off his own arm in order to survive. I have never been stuck in a Moab desert crevice, but I have experienced trauma in which I’ve been trapped and terrified. Even if we haven’t been in a major life-threatening situation, we’ve all felt stuck between a rock and a hard place. Sometimes, the hardships of existence feel just like that canyon fissure, don’t they? 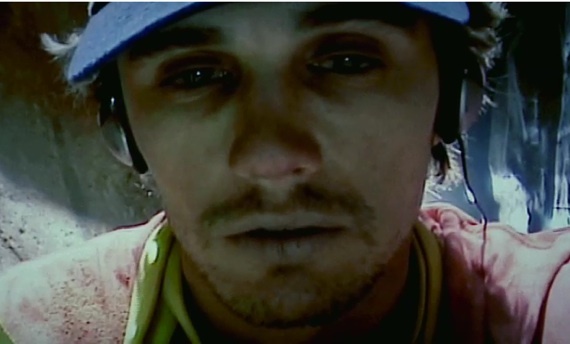 Just below the surface, 127 Hours is about a young man coming out of extreme selfishness. Our hero realizes how narrow-minded he’s become: not needing anyone for anything, ever - and not giving of himself to anyone, either. At the end of the film, Aron gushes, calling to his rescuers, “Help! I need help!” and we know he is talking about much more than medical attention: he is talking about the human condition, the need for interpersonal connection in order to get through this thing called Life. Aron’s existential bubble of destructive self-centeredness has popped; he can’t make it alone. On its deepest level, this film is about liberation. Aron goes for FREEDOM in its rawest sense. The Death of the "Me"
How do we ‘do’ this facing? Through the process of inquiry, called vichara, we allow it all. We go with the tiniest tad of willingness – sometimes kicking and screaming and frothing and flailing, but go we must! We LOOK underneath the pain, the suffering, the agony, the horror. Through the inquiry process, we keep going, into and through the black hole of grief and loss to the point of Nothingness – the Nothingness that is everything, the fullness, the plenum. In order to truly realize liberation, we must face the fear of our very own death on the deepest soul level. Absolutely, it can feel like we’re cutting off our own arm, or even decapitating ourselves. If we’ve suffered enough, banging our heads against the wall by seeking here, there, and everywhere for happiness, we may finally get to the point where we raise the white flag of surrender. I call that moment Grace. I’ve observed in great teachers and in my own direct experience that effective surrender has to be total. It has to be the only thing that matters in your whole life – more important than any desire, relationship, worldly acquisition, or outcome. 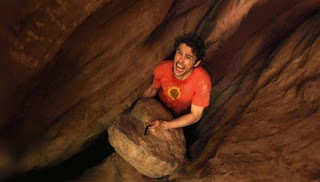 And, like Aron Ralston found out: you have to be willing to face your own death. 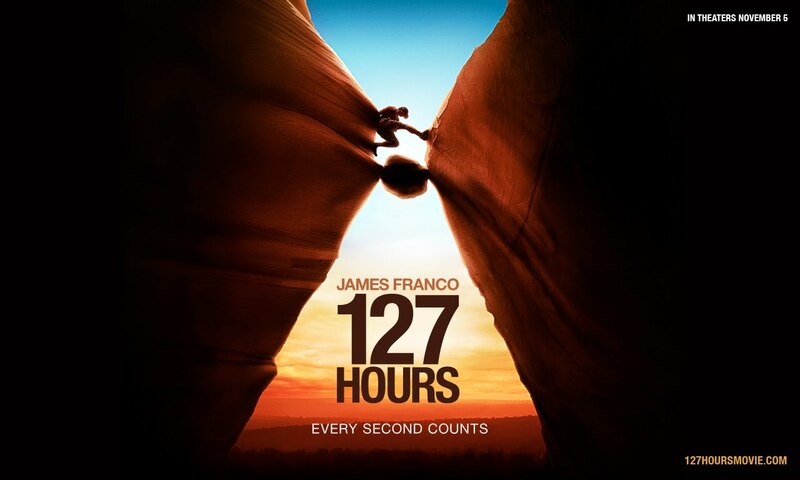 It’s not surprising that a key song in 127 Hours is called “Liberation Begins.” Liberation is a process, and a moment. In Aron Ralston’s case, it takes five days of crushing inquiry, but he eventually sees that it's built up over a lifetime. Everything has to happen exactly this way in order for him to wake up. We don’t have to be stuck in a Utah canyon with nothing more than a cheap Made-In-China chisel to try and pry ourselves loose. We’re already stuck in the crevice, the crevice of our own limited mind, right here and now. We’re already in the perfect position to face everything, because it’s all before us and in us. We don’t have to go anywhere – not India, not church, not even out of the house. In fact, it’s often more useful to not move at all. Just stop. Face everything. Face the blood, the gore, the severing of the nerve. Have the nerve to go there. It doesn’t have to be all at once (though it might happen that way); you can start to inquire anytime - little by little, day after day - as it arises. Die to your concepts, beliefs, and constructs that give you the illusion of safety. Be willing to die to that which gives you a false sense of identity, a “me.” Find out what is unchanging – that which never dies. This is ultimate freedom, and nothing can ever take it away. You have enclosed yourself in time and space, squeezed yourself into the span of a lifetime and the volume of a body and thus created the innumerable conflicts of life and death, pleasure and pain, hope and fear. You cannot be rid of problems without abandoning illusions. Fight with all the strength at your disposal against the idea that you are nameable and describable.